The 30-Year Dealership Monopoly Ends Now! 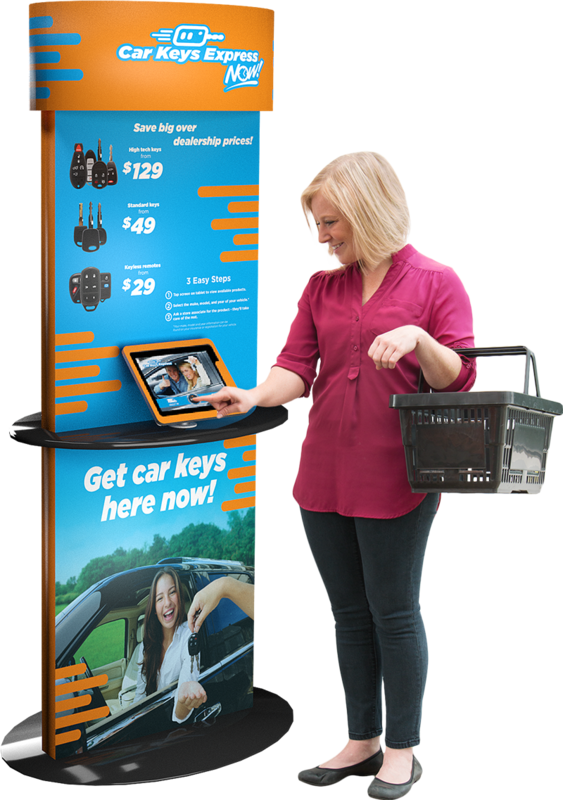 Car Keys Express Successfully Pilots New Program With Retail Chain. Car Keys Express partnered with a Top 10 automotive repair franchise to execute a three-month pilot of Car Keys Express NOW!. Car Keys Express NOW! allows retailers to offer in-store automotive key replacement. Retailers cut and pair keys using provided equipment. The pilot was a success, with a conversion rate nearly six times higher than the industry average, 67% profit margin, and over $32,000 in annualized gross profit. Data from the pilot reflects conversion rates nearly six times the industry standard, strong profit margins, and significant gross profit. A digital advertising campaign was used to drive traffic, resulting in ads viewed nearly 100,000 times with a 5% click rate. The store received an average of seven phone calls per day as a result of this campaign. Staff received one day of preliminary training and two days of hands-on exercise. Technicians were proficient in selling and cutting keys at the conclusion of the three days. A trained technician was absent 21% of the subject days during the pilot period. To accurately reflect full implementation of the program and resulting metrics, we have eliminated these days from the sample. Fully committed management will result in higher conversions. A lower-volume store was selected for the pilot. Traffic of 25+ customers a day is strongly recommended. A trained technician should always be available to cut keys. Subsequent to the pilot, training has been further enhanced to include 3D simulations and gamification. Significant opportunities to optimize results were identified. During a 30-day segment of the pilot period, these additional elements were implemented, increasing the conversion rate to over 20%. The program provides high-quality key replacement at 40-70% less than typical dealership pricing. An employee cash commission program motivates staff to sell the service. A rewards system has since been developed, providing a cash incentive for keys sold. A toolbox of marketing assets was developed and successfully deployed to promote the program. Monopolies are rare, and an opportunity to end one doesn’t happen often. The rapid growth of our mobile key replacement business and the pilot’s elevated conversion rates confirm this is a milestone in the history of automotive key replacement. As a result, Car Keys Express has received interest from national retailers for this system and is prepared to move forward with a partner. In our selection process, we are reviewing candidates who meet our criteria. This will ensure our future partner maximizes this opportunity by adopting the successful practices identified in this case study. Be an early mover and make sure your business will be among the first considered for this unique multibillion-dollar opportunity. Offer car keys to over 250 million North American drivers. How many customers do you average per store, per day? How many days per week are you open? What type of retail business? Do You want to see Quality of Sale Metrics?